ContiTech has developed a special toolbox for replacing timing belts on Volkwagen engines. Nearly all the special tools that a workshop or garage needs for professionally replacing timing belts on Audi, Seat, Skoda and Volkswagen vehicles can be found in this set. So everything needed is close at hand. The kit contains 28 seperate tools, among others, a socket sets that can be used to lock into place the moving components of a drive system – for example, the camshaft and crankshaft, the tension pulley or even the injection pump. 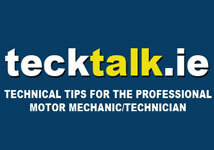 The toolkit priced at €550 is available from your local ContiTech Stockist. For further information contact Hella Ireland on 01 862 0000.